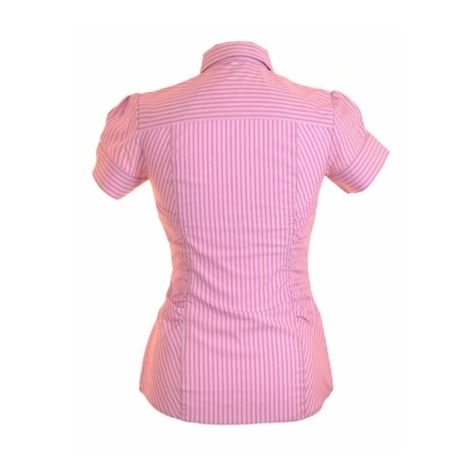 A short-sleeved pinstripe purple shirt with ruching at the waist to flatter the petite figure. 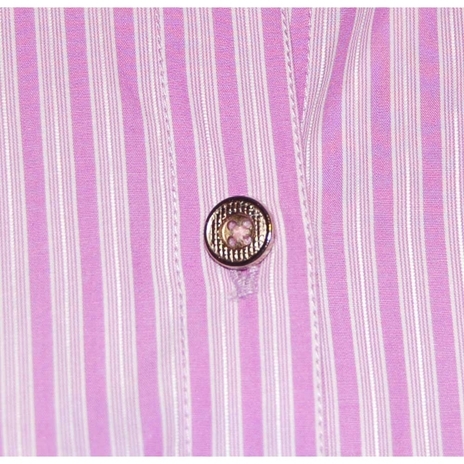 This shirt features an open collar, puffed sleeves, curved hem and shiny silver buttons. 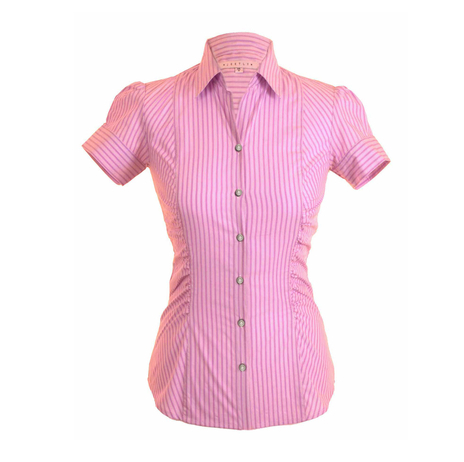 A tailored petite shirt with great shape to accentuate the waist with added wearing ease. The length from the highest point of the shoulder to the hem is 59cm. Our model is 5'1" and is wearing a size 8. Machine wash at 40°c with like colours, warm iron, do not bleach, do not tumble dry, dry cleanable. COMMENTS : Perfect length and fit, bought size 10. I have a short torso and a bigger bust, 70D, and the shirts sits perfectly, no gaping buttons thanks to the ruching. The ruching is functional, not frumpish at all. COMMENTS : Great functional shirt. Good fit. Exuding femininity, the Sonia shirt lends itself to so many areas of your wardrobe. Wear over your favourite bootcut jeans or team up with tailored shorts. For a smarter look wear it tucked in a pleated flare skirt or dark grey trousers.